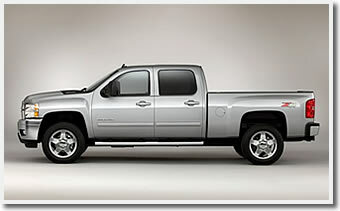 The 2012 Chevrolet Silverado 1500 will see only minor changes for 2012 as no major changes are expected. Our ongoing road tests with the 2011 Chevrolet Silverado 1500 will be including a full evaluation of the 2012 Chevrolet Silverado 1500 from an owners point of view. From gas mileage performance, reliability, ease of use, comfort, and price, we will be reporting on just what we find as consumers of the new trucks from Chevrolet. The Silverado from Chevrolet is the best selling full-size pickup for 2011 and the expectations for 2012 are for even stronger sales across the Silverado line. The new Silverado will come with a slightly reworked front end with a chrome mesh grille with a chrome surround on LS and LT trim packages. Moving up to the LTZ trim package, will be decked out with a body-color surround plus 20-inch chrome wheels, the Chrome Package, and the High-Performance Suspension Package, as well. Something else thats new will be available on every Silverado with the exception of the Hybrid. will be a trailer sway control and hill-start assist that is said to give a little more functionality and safety to the truck when towing or driving in hilly terrain. 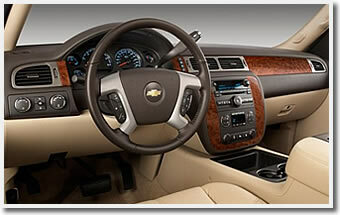 The 2012 Silverado's also have the option of a new hard-drive based navigation radio with updated graphics. The optional WiFi system comes as a very important option to folks like us that use our trucks as an office on the go. These are some of the most obvious changes in the 2012 Silverado from previous years models. We proudly announce that the 2012 Silverado Four Door Crew Cab is the winner of the 2011 Student Writers Guild Readers "Vehicle Choice Awards".